I'd be meaning to give Linux a try for the past couple of years. I recently bought a new PC installed with Windows 8.1, so decided to give Linux a try on the old PC. This post documents my experience for the Linux-curious than giving actual instructions on how to get started. It is also based on my current understanding and two weeks experience. It is not an expert view! Linux is an Operating System (OS), like Windows used by most PCs and OS X used by Apple computers. In lay speak it is the thing that holds everything else together. How much is Linux and where do I buy it? This is probably the wrong question for a variety of reasons. You don't go into PC World or computer store and pick a copy of Linux up off the shelf. Linux can be downloaded for free (and legally). It is open source so people can develop their own versions of Linux and give it away or sell it as they see fit. This is leads to a second point about Linux. You don't just go to the Linux website and download a copy of 'Linux'. Lots of different versions of Linux are available – these are known as 'distributions' or 'distros.' These can be downloaded and installed for various internet sites. 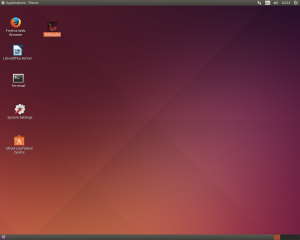 I chose to use Ubuntu as that seemed to be the distribution of choice for the Linux virgin. Other distros include Debian and Mint. Magazines such as Linux Format often come with a disk with a particular distribution on. I'll tell you how it did it as I'm sure that there are other, possibly better or more expert ways. I had my two PCs next to each other. 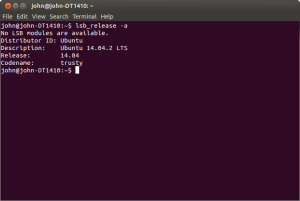 I got on my new PC (pretty high spec) running Windows 8.1 and I went to the ubuntu website and burned a copy of Ubuntu 14.04 onto a blank DVD (it has to be a DVD, it won't fit on a CD). I made sure everything that was on my old PC has been transferred to the new PC (a process beyond the scope of this blog post). I put the Ubuntu DVD into the DVD drive of the old PC and followed the instructions. I opted to allow the installation to delete my Windows 7 installation though it appears you can run Ubuntu alongside Windows 7 without major problems (but alongside Windows 8 is another matter apparently). I won't go through the installation process in detail, but it was pretty straightforward. Is it basically free Windows? It's an operating system and it looks a bit like Windows at first glance, but that's where most of the similarity ends. The biggest initial difference is that Linux makes extensive use of the command-line (CTRL+ALT+T) to install software and perform other functions. Some of these commands are similar to MS-DOS, familiar to those who remember pre-Windows PCs from the 80s and 90s. In reality though knowledge of MS-DOS probably isn’t that useful. It is useful to buy a book about Linux commands. 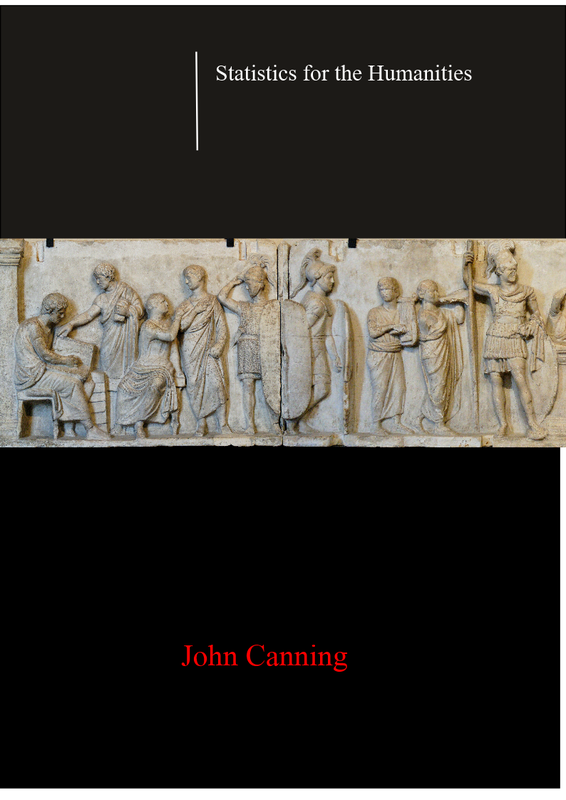 I purchased the Kier Thomas' Working the Ubuntu Command-line prompt, just £1.15 for the Kindle version. The Ubuntu distro comes with some software pre-installed. This includes the Office suite LibreOffice (which can also run on Windows as a free alternative to MS Office) and the familiar browser Mozilla Firefox. It also comes with software to play CDs and DVDs. Not all software is available for Linux, at least not officially. My eldest son is something of a Minecraft enthusiast, and although apparently possible to run Minecraft on Linux I have yet to get it working. Most familiar Windows software has its Linux 'equivalents' though they may not look exactly the same. Programs like Skype have Linux versions. Installing software (including updates) is the thing that is most different and I'll save the details for another post (though there's plenty of information online). Where their any teething problems? Apart from the learning curve I wish I could say there were not problems. However, I did experience problems with the system crashing. This was solved by installing the GNOME desktop. 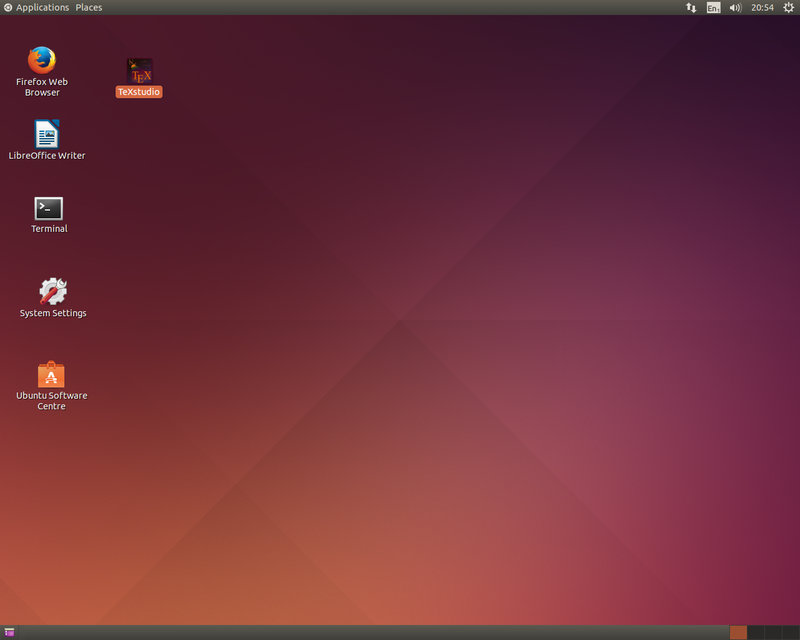 Basically, from what I understand, some old graphics cards cannot cope with the latest versions of the Ubuntu desktop. I don't know the spec of my old PC graphics card, but it was second hand and only cost me £10. 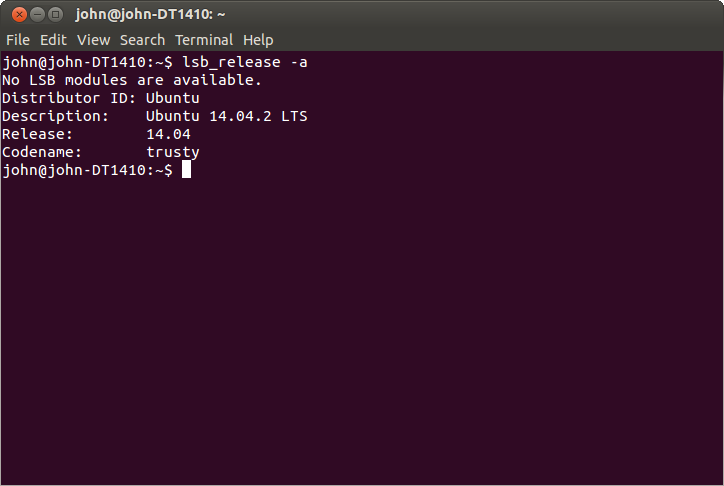 It coped with running Windows 7, but Ubuntu 14.04 was too much for it. Will I be giving up Windows 8.1? I don't like Windows 8 at all. It's not as bad as Vista and had it not been for Windows 7 I might have tried Linux a few years back. However, Windows is too familiar to give up and I'm yet to feel confident enough to rely on Linux for everything. I use software such as Minitab and Nvivio which I don't believe work in Linux. There is however WINE (which stands for WINE is not an emulator) which can be used for running Windows software though I've yet to try it. * Some software difficult (or impossible) to run. * Above mentioned problem with my graphics card. * Fast. It runs as quickly on my old 4GB of RAM PC as Windows 8.1 on my new 16GB PC. * Free. Nothing to lose if it I can't get on with it. * Ubuntu comes with Libre Office, Firefox and some other software pre-installed so you can get going straight away. * So far I have solved most of my problems by looking online e.g.on the Ubuntu website.